Most Monday nights, you can find the engaging young singer Svetlana Shmulyian and her Delancey Five at the Back Room Speakeasy (yes, you have to know the password to get in and the drinks are served in coffee cups) on 102 Norfolk Street on the Lower East Side of New York City. Here’s the Back Room’s Facebook page. Here’s Svetlana’s page, and the Delancey Five page. On Monday, April 1, Svetlana was joined by her eminent friends Dalton Ridenhour, piano; Adrian Cunningham, reeds; Rob Garcia, drums; Brandi Disterheft, string bass; guest Tom Dempsey, guitar. The music that resulted was impromptu, energized, and heartfelt. Here’s the first set of the night. For those who would like to hear Svetlana and friends in the hush of a recording studio, nothing could be simpler: click here. Although it is no longer cold outside, warm music never goes out of style. Posted in "Thanks A Million", Pay Attention!, Swing You Cats!, That Was Fun! 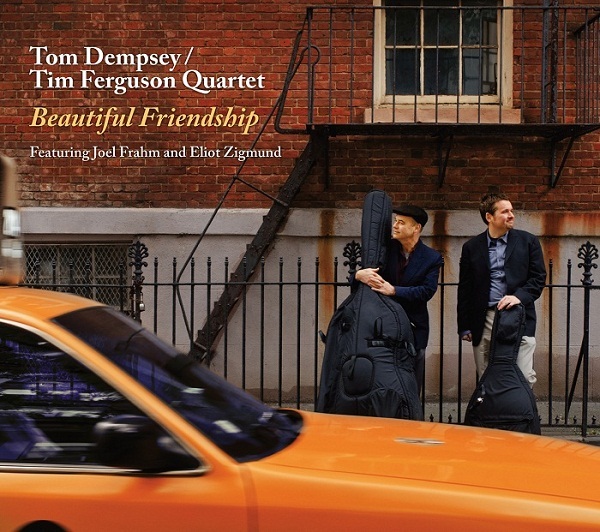 I’m embarrassed to write that I had never heard of guitarist Tom Dempsey or string bassist Tim Ferguson before opening the latest mailer that held their new CD — a quartet with saxophonist Joel Frahm and percussionist Eliot Zigmund. I should have taken notice of Tom and Tim by this time — they are active New York performers, with credits including Jim Hall, Mel Torme, Don Friedman, the Vanguard Jazz Orchestra . . . and many more. But now I want to make up for my omission. BEAUTIFUL FRIENDSHIP is devoted to lyrical, easeful exploration of melody, harmony, and rhythm. It’s not Easy Listening for elderly recluses, nor is it self-conscious Innovation. These four players understand something basic about music: the truth that we need Beauty, and Beauty never gets old. Yes, Tal Farlow (for instance) played AUTUMN IN NEW YORK memorably in 1957, but that doesn’t mean that Duke’s melody is now forever used up. One might as well say, “Oh, the sunrise bores me,” or “I’m so tired of this (wo)man I love embracing me.” Do that, and you’re beyond recovery. BEAUTIFUL FRIENDSHIP is not just about reverential playing of standards — by Randy Weston, Monk, Thad Jones — because the quartet stretches out and has fun on several originals. IT’S TRUE is an engaging group conversation that ebbs and flows over six minutes; CAKEWALK begins as a funky Second Line outing and expands before returning to its roots as delicious dance music. TED’S GROOVE is both groovy and uncliched, hummable swinging jazz. Although I knew Joel from his work with Spike Wilner’s Planet Jazz and many other ensembles; Eliot Zigmund from sessions with Michael Kanan at Sofia’s — they play magnificently, but so do Tim and Tom. It’s beautifully recorded, with plain-spoken but deep liner notes written by the two fellows. You can visit Tom’s website and hear excerpts from this CD here or Tim’s here to learn more about their backgrounds, their associations with other players. 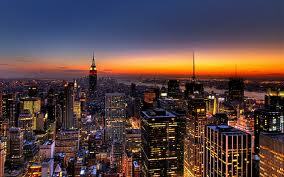 But most importantly, if you are in New York, you will want to search them out. I think that hearing them in tandem or in other contexts would be delightful — and you could say, “JAZZ LIVES sent me,” and buy copies of BEAUTIFUL FRIENDSHIP directly from the artists. What could be nicer? As for me, I’m keeping this one! P.S. Why MUSIC FOR ADULTS in my title? There’s no barely-clad beautiful young thing on the cover; this isn’t advertised as Music To Make Out By. To me, “adults” have outgrown barrages of virtuosity (“shredding”) for its own sake, yet they want something more than another bouncy rendition of a classic from Django’s book. BEAUTIFUL FRIENDSHIP will please everyone with grown-up ears . . . people who have removed the earbuds long enough to listen.